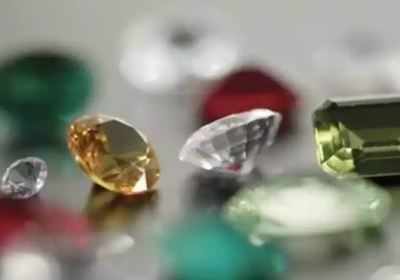 MUMBAI: The gems and jewellery sector, which is still reeling under the impacts of note-ban and GST implementation, has sought a reduction in gold import duty to 4 percent and bringing down the levy on cut and polished diamonds and cut and polished gemstones to 2.5 percent, apart from relaxation in credit norms. All-India gems & jewellery domestic council chairman Anatha Padmanabhan in a letter to the finance minister ahead of the interim budget on Friday, said the 10 percent import duty on gold was levied to curb current account deficit when it was too high and since then it has been contained with falling trade deficit. He said the higher import duty on gold has given rise to the grey market and smuggling of the yellow metal and thus has not achieved its intended goals. He also called for raising the mandatory PAN number declaration while buying gold jwellery to Rs 5 lakh from the present Rs 2 lakh. Since not even 50 percent of the population do not have PAN cards, making it mandatory for purchasing gold jewellery above Rs 2 lakh is difficult in rural areas especially as customers are either reluctant to share or do not have one, he added. Meanwhile, Gem & Jewellery Export Promotion Council chairman Pramod Kumar Agrawal urged the government to reduce the import duty on cut and polished diamonds and as on the cut and polished gemstones to 2.5 percent from 7.5 percent now. He further urged the government to allow 5 percent of the FOB (free on board price) value on exports of cut and polished diamonds to be re-imported duty free in the preceding licensing year for the exporters. The council also urged the government to change income tax regulations enabling foreign mining companies to sell rough diamonds through special notified zones. It also sought a GST rate of 0.25 percent on input services (at least job work services and grading and certification services) and extend the benefit of inverted duty structure to such services also. The council further called for a conducive banking environment for the sector in terms of relaxing credit norms for working capital requirements. “We urge the government to introduce interest subvention of 5 percent on export finance for the gem & jewellery sector,” he added. India Bullion and Jewellers Association director and PNG Jewellers chairman Saurabh Gadgil called for eliminating the commodity transaction tax saying such as move can curb ‘dabba’ trading. Kalyan Jewellers chairman TS Kalyanaraman said he is expecting an uptick in discretionary consumable spends due to the expected move of increasing the tax exemption slab to Rs 5 lakh.